Flavored sodas are the new cupcake – they’re super IN right now. Let’s jump on the trendwagon with an Iced Coffee Soda! Before we talk about how I’ve ditched the diet soda and have moved onto coffee soda, I want to talk about TV shows, specifically Friday Night Lights. Oh. My. Gosh. Where has this show been all my life? (Sitting in my Netflix queue waiting for me to watch it, obvi.) It’s my new Scandal; Mel and I are totally binge watching it this summer. The biggest problem is that we can’t stay awake long enough to watch more than 1 show each night. I want to watch them all and I want to watch them all this minute! Also, watching that show gives me mild panic attacks about high school. Do kids really do all that…stuff…all the time? I mean…is that for TV or is it real life? Maybe I need to add vodka to my Iced Coffee Soda. That’ll get me through. I’ve mentioned before how much I love International Delight Iced Coffee. Over the last few months I’ve paired a glass with muffins and cookies. This month I’m turning my favorite iced coffee into my favorite indulgence: SODA! Some days I get to the afternoon and I just NEED a soda. I try not to drink too much of it but sometimes my body wants the bubbles, and that’s where this iced coffee soda comes in. I also need a pick-me-up in the afternoons and that’s normally when I really want my third cup of coffee. So the day I can combine my favorite iced coffee and my favorite soda? Is the best day ever! With only 3 ingredients, this soda is probably the easiest drink you’ll ever make. You can even skip the chocolate sauce if you’re going for a more “healthy” afternoon drink, but why would you skip that? Next time I make these I’m going to use my own homemade chocolate sauce – that stuff was like liquid fudge! I top mine with whipped cream and more chocolate because, well, this IS me we’re talking about. More chocolate > less chocolate. My favorite time of day to enjoy this iced coffee soda is in the afternoon when it’s hot and I’m tired and want to sit on the couch and just be a vegetable for a few minutes. I just wish I could watch Friday Night Lights during my break; I’m trying to be good and leave the binge watching for when Mel is there to watch it with me. What will you binge watch with your afternoon iced coffee soda break? Have your soda and your coffee too! Only 3 ingredients makes this iced coffee soda an easy recipe for dessert or an afternoon snack! Drizzle chocolate sauce in your glass. Fill 2/3 full with iced coffee and top it off with the soda. (The ratio is best at 2/3 iced coffee to 1/3 soda.) Top with whipped cream and more chocolate sauce for a special treat! For an adult beverage: add a shot of vodka, amaretto, or coffee liqueur before adding the soda. Follow International Delight on Pinterest / Facebook / Twitter / Instagram or sign up for their newsletter! Definitely can’t leave out the chocolate sauce! What a perfect afternoon pick-me-up! I’ve heard great things about Friday Night Lights but still haven’t had a chance to watch it. 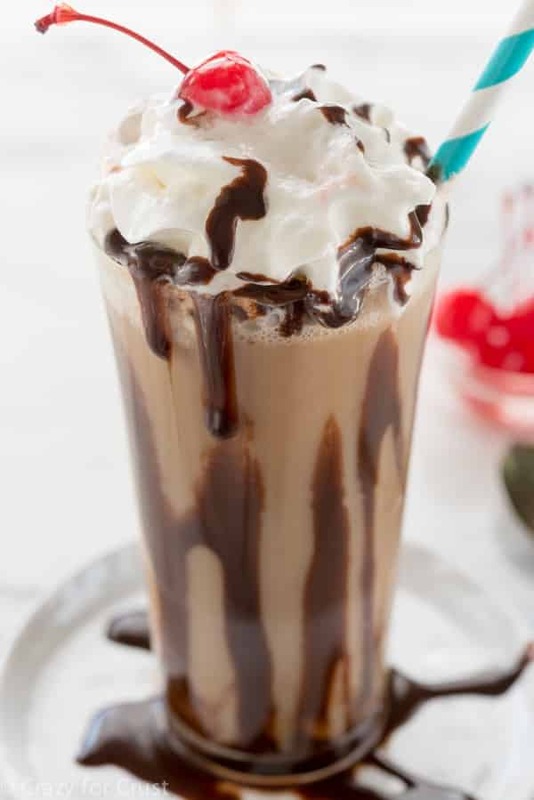 This ice coffee soda looks like the ultimate treat to relax with while catching up on our shows. It looks beyond amazing! This looks heavenly. I wish International Delights would make a decaf. iced coffee. For health reasons I cannot have caffeine. Bummer. I will make these for my lucky friends. They have a chai flavor! That might not have caffeine, I’m not sure. Mind blown right now. You truly are the mash up queen! Haha if you’ve been binge watching Netflix, I’ve been binge reading cookbooks and this week, it’s yours and I’m HOOKED. But seriously, soda and coffee, where have you been all my life? 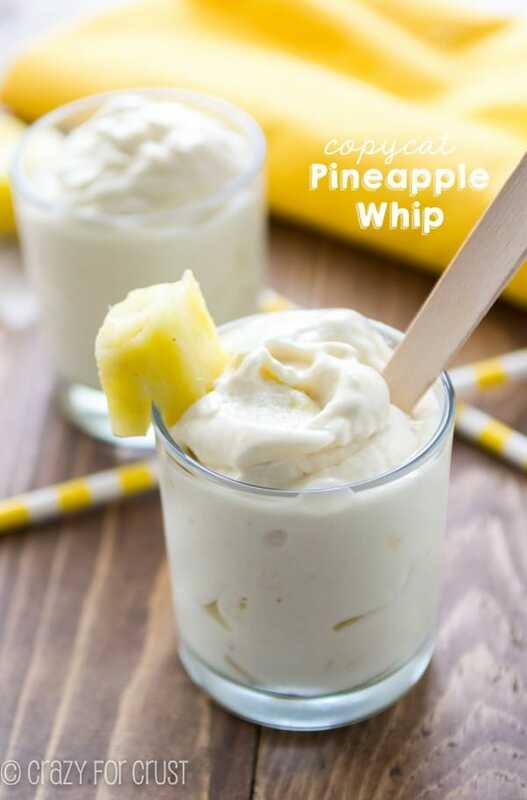 I cannot wait to try this, it’s too simple and way too amazing looking not to! Pinned! 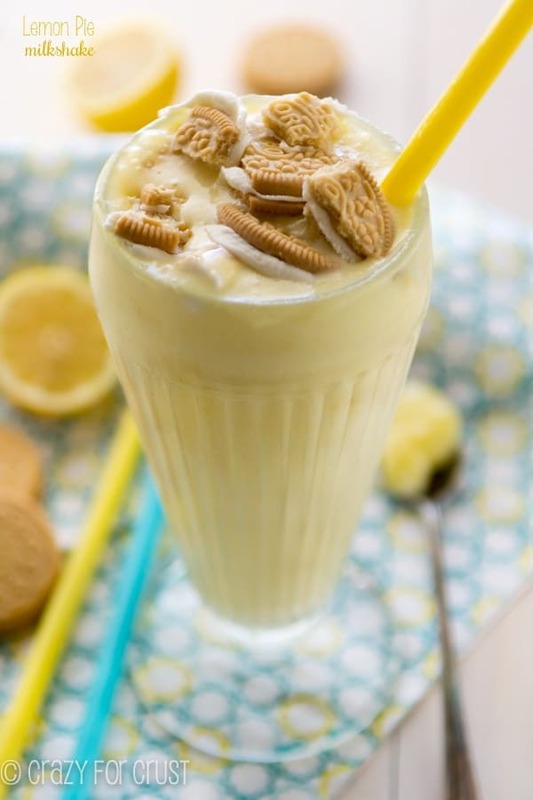 I don’t like coffee, but that Lemon Pie Milkshake caught my eye!!! Where has THAT been? We loved Friday Night Lights, and miss it, but at least now we have Connie Britton (sp?) on ” Nashville” – also a very good show! Right now we are catching up on all our Shark Week DVR programs. I still need to watch Nashville…and we missed Shark Week! Jordan is so bummed! Haha, clearly I have another show to add to my To Watch list! 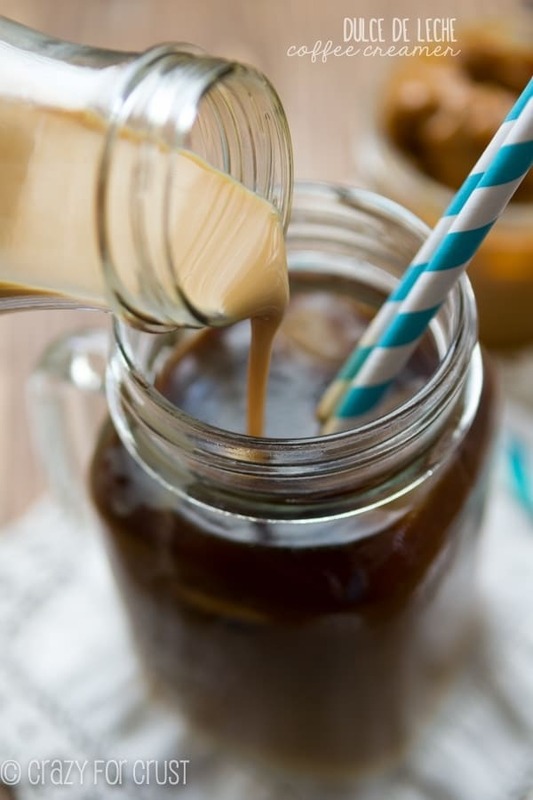 This Iced Coffee Soda is so out of this world — just one more way to get my caffeine fix! You totally need to add it Ashley! It’s SO good, I can’t stop watching it. Thanks Lori! Iced coffee soda? What a fantastic idea. I need this in my life soon. Because I’m always wanting more coffee mid-afternoon too! I have never watched Friday Night Lights, but clearly that needs t happen and so does this this iced coffee soda. WOAH! Now that is one gorgeous looking drink! 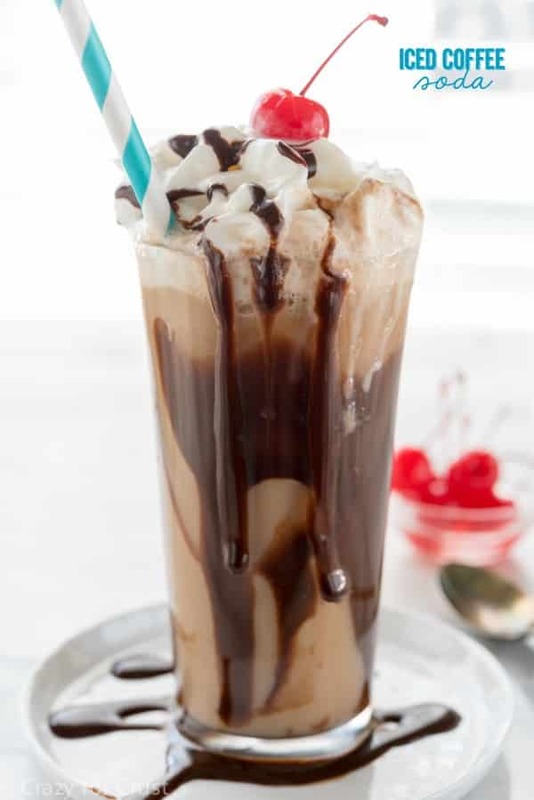 I love the idea of iced coffee and bubbles…and of course chocolate sauce! This is the most amazing summer drink for sure! Coffee soda is my little secret to staying alive in the summer afternoons. Now my secret is out! 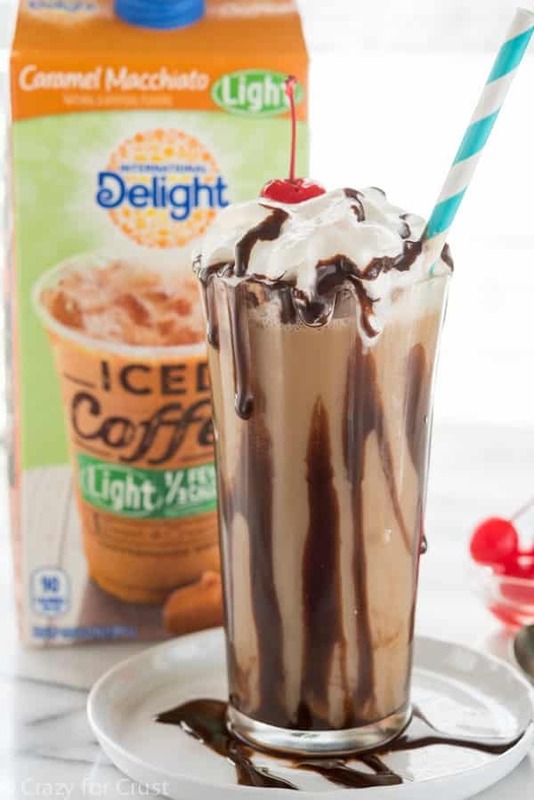 LOVE that you used International Delight- they are my favorite iced coffee to enjoy!! And ummmm let’s be real here more chocolate is WAY > than less chocolate. HA! We LOVED Friday Night Lights in such a major way! That and Parenthood. So sad they both had to end…..I probably need one of these sodas to make me feel better about life!!! Dorothy, this looks FABULOUS. I need to find that iced coffee…I have some seltzer in my fridge. Perfect!